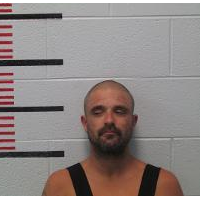 Huntsville, TN (2018-08-18) Three people are facing meth possession charges after authorities say one of the trio was reportedly standing on the side of the road flailing his arms and talking to himself. Authorities reportedly recovered more than six grams of meth from a nearby residence. Brian Delosangeles, age 42, and Michelle L. Spencer, age 49, both of Helenwood, and Roger D. Bowling, age 60, of Huntsville were booked into the Scott County Jail Wednesday night after authorities say Delosangeles was found standing in the front yard of a Glasshouse Road residence “slinging his arms around and talking to himself”. According to an arrest warrant filed by K-9 Deputy Daniel Garrett of the Scott County Sheriff’s Office, authorities reportedly found more than six grams of methamphetamine at the house, which reportedly belonged to Bowling. Delosangeles and Spencer had reportedly been staying with Bowling the days leading up to the trio’s arrest. Authorities say that Bowling admitted to owning a marijuana pipe, but during a search of his residence they found other pieces of drug paraphernalia, including a snorting straw, two hypodermic syringes, and a marijuana bong. Bowling reportedly told authorities he had forgotten the items were in his house. 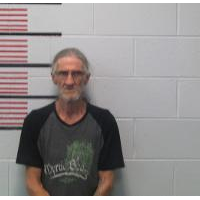 He later reportedly pulled back a rug and handed officers a bag of meth that was hidden underneath. As authorities continued to search, they reportedly discovered more meth, including a large bag found in a jewelry box. Outside the house, authorities reportedly found another bag of meth, a set of digital scales, and syringes concealed inside a zip-up case that was wrapped in a t-shirt. The latter was reportedly found on the hood of a car in the driveway—a car that Spencer said belonged to her. After speaking to the three suspects, authorities say no one claimed ownership of the drugs. As result, all three were arrested. The trio was charged with possession of meth for resale, felony possession of drug paraphernalia, and possession of drug paraphernalia. Delosangeles was also charged with public intoxication. Garrett was assisted on the scene by Assistant Chief Deputy Andy Lewallen, Lt. Jason Pike, Detective Adam Douglas, and Deputy Gary Sexton.